In the Educator Spotlight today – 5th grade teacher Andrea Childes! Hello! I’m Andrea and I am currently a fifth-grade teacher. I have been teaching for six years. I have almost taught every grade, but there are still a couple I haven’t taught yet (at the elementary level). I started my teaching career as a long-term sub in a Kindergarten class and was hired as a teacher the following school year. I got to loop with my Kindergarteners to first grade. I then taught first grade for two years, then moved to sixth grade for two years, and landed in the fifth which I have been teaching for two years. WOW!!!! Now the most exciting part is I get to get my feet wet in fourth grade next school year!!! I have been married to my husband for 2 years, but we have been together for 13 years. We have four children who keep us busy, so I always have a book on hand for what run we’re making to someone’s practice. My oldest loves graphic novels, my 10-year-old reads anything and everything, and my two little ones love their bedtime stories. 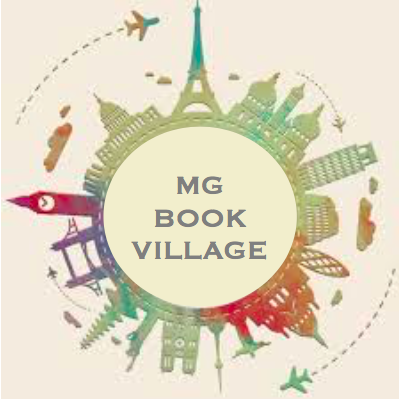 Who are some of your favorite middle grade books or authors? My favorite middle-grade authors are R.L. Stine. I grew up reading Goosebump books and loved all of them. I was a big fan of scary stories. Dav Pilkey and his Dog Man series because he has inspired some of my most reluctant readers to read. Katherine Applegate because her books deal with situations that tug at the heartstrings and get the conversations stirring in my classroom. And, Kate Messner because all her books keep you guessing how the book will end. Tell us about your classroom library! My classroom library is literally the heart of my room. When parents and students walk into my room, they are amazed at the number of books and the set up of my library. All my books are separated into categories that range from subject, series, author, and genre. I like this setup because I can easily find where a book is in my library. My students think it is amazing how they ask if I have a book and I can tell them exactly where the book is located. I currently have around 60 ish different categories in my library. Every book is labeled with a number on the back of the book that tells my students where the book goes on the shelf. At the end of every school year, I like to weed out old books or books no one has touched to make room for new books the following school year. I have about 1,900 books at this time (this number will continue to grow each year). My library will continue to grow as long as my students request books and books continue to be published. I like to keep my library up to date with newly published books. I have funded my entire library. I try to order from Scholastic every two months and I have so far been able to get two Donors Choose projects funded to get new books into my classroom library. I believe the classroom library is so important. I could and would teach a college class on how to build, grow, and organize a classroom library. How do you get books for your classroom? I get a lot of my books from Scholastic. I also take advantage of the coupons my students don’t use, Scholastic points, and free book when you purchase a certain dollar amount. Some of my new releases come from Barnes and Noble (because sometimes it takes awhile for Scholastic to get the books) and Amazon because with Prime who could resist the free shipping. Donors Choose is also a good place to create a project for new books. People out in the world love to donate to project for books. I have had two projects funded for new books in my classroom. I have also been very lucky to have a few authors contact me wanting to send a copy of their new book to my students. I like to let my students know that if they are ever cleaning out their bookshelves at home that I would be more than happy to have their books in my classroom library. So far, I have had students donate their old books to my library. How do you stay “in the know” about new/upcoming books (are there tools, people, sites you regularly rely on)? I follow several authors on Instagram and Twitter. They want to get the word out about the upcoming release date for their new books so I tend to stalk them :). I follow several book loving teachers and friends on both Instagram and Twitter. SO, social media keeps me in the know. Goodreads is a great place to find out when books are published. I search 2018 middle-grade book releases as an example and just scroll the list of books I’m interested in reading. Always remember to add them to your Goodreads list so you can come be them later once they’re published. What does your literacy instruction look like? My literacy instruction follows the workshop model. My district uses Lucy Calkins’ Units of Study for reading and writing. I start with my read aloud. Sometimes it’s a book my students have voted on and other times if the books that are used in the Units of Study. Next in my mini-lesson that lasts for about 10 minutes or less. This is where I teach my students what skill I want them to do while they are reading for the day. I give them time during my mini-lesson for them to try out the skill with a partner before going off to independently read. This also gives me a chance to see who is able to do the skill and who still needs guided practice with a small group. At the end, I send them off with a skill they can use to become better readers. Independent reading time in my classroom is the most important part of your literacy block. This is my student’s time to grow as readers and for me to bounce around to conference and pull small groups. What are some of your favorite reading-related projects or activities to do with your students? Book Stack Book Swap— This activity I got from a teacher on Instagram. After I get to know my students for the first couple of days of school, I can tell what books they would like to read (lol it’s my superpower). I go through my library picking at least five books for each student and place the books on their desk. They look through their stack and decide what books they want to read and what books they want to swap. Students can swap a book with another student or from the class library. At the end, they have built a TBR list and they choose three books to keep in their book boxes. Classroom Library Scoot— This activity is from Stacey Riedmiller (Literacy for Big Kids). She has created an activity to get students familiar with their classroom library. This is my favorite activity because of all the different tasks the students have to do. One task being what published has the best smelling books! My students never hesitate to smell a good book :)! Author Study Project–This project is part of Lucy Calkins’ If…. Then… Book for reading. I teach my students how to become a fan of an author. I teach this unit at the end of the year. Following the lessons, each student chooses an author to become a fan of and at the end they create a presentation for the about that author. Students all build their summer reading list off of the other presentations. Win Win!!!! Book Talk Fridays— Every Friday during morning meeting we do a book talk. Students book talk a book they are reading that they think others should read. I also book talk any new books I have gotten for the class or ARCs that I have been sent! Students then add to their TRB list. You can find Andrea on Instagram at @theliteracyjunky and on Twitter at @LiteracyJunky. So many books I need to read!